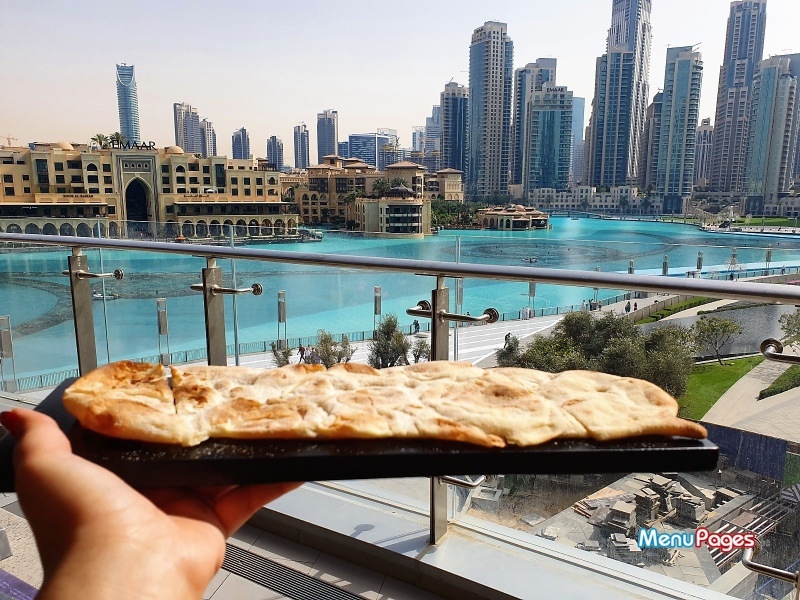 Lebanese food is second nature to the seasoned Dubai foodie. For most of us, it's the obvious roll call of hummus, tabbouleh, shawarma, mixed grill and knafeh. 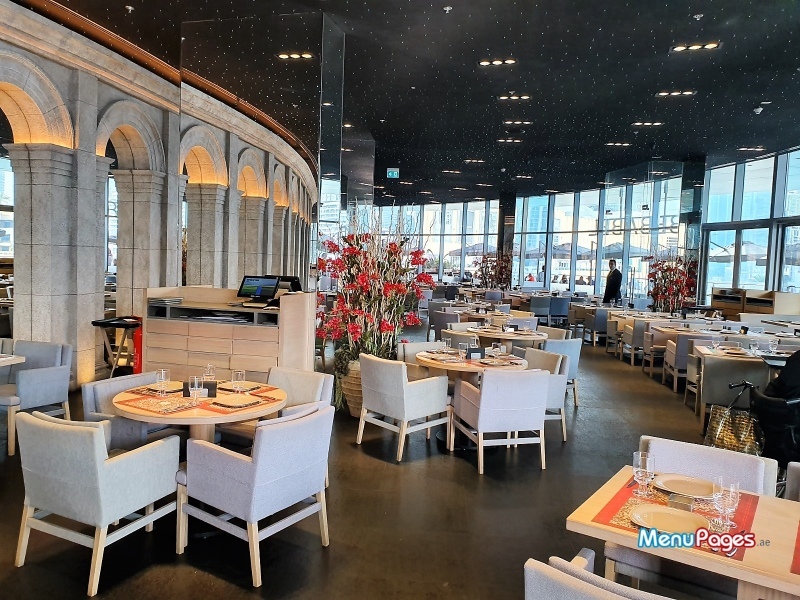 Bebabel wants to take its diners beyond what they know with its quintessential Lebanese fare. 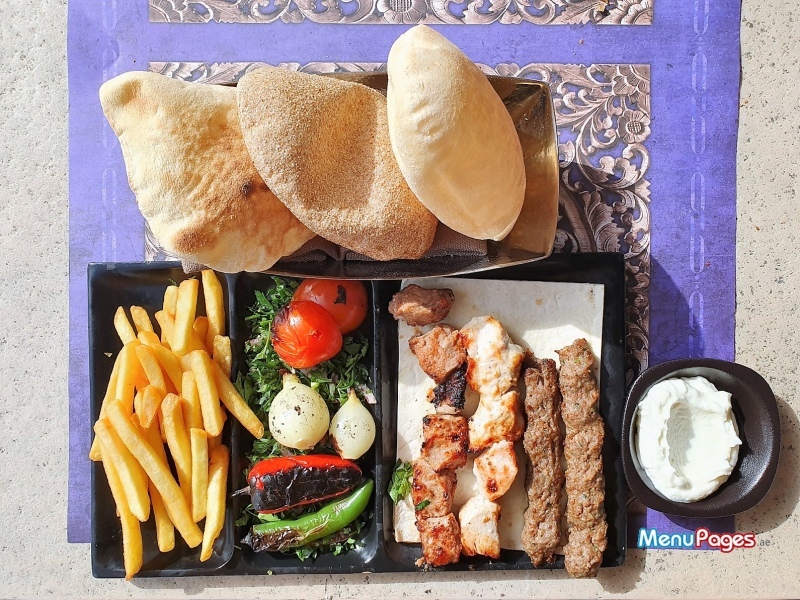 Boasting hidden gems like mafroukit tajen, hendbeh and nammoura – its menu is sure to surprise even the most discerning diner. Bebabel invites guests to explore the shadowy corners of Lebanese cuisine. Bebabel does not take reservations. Parking at Dubai Mall, as every mall crawler will know, is about luck. You'll be luckier on a weekday than at the weekend. We parked on Level P5 at the Fashion Avenue parking. Our greeting was warmer than Bebabel's terrace, where we proceeded to be seated. Such a warm welcome set's the tone of the experience right from the start and put us at ease. 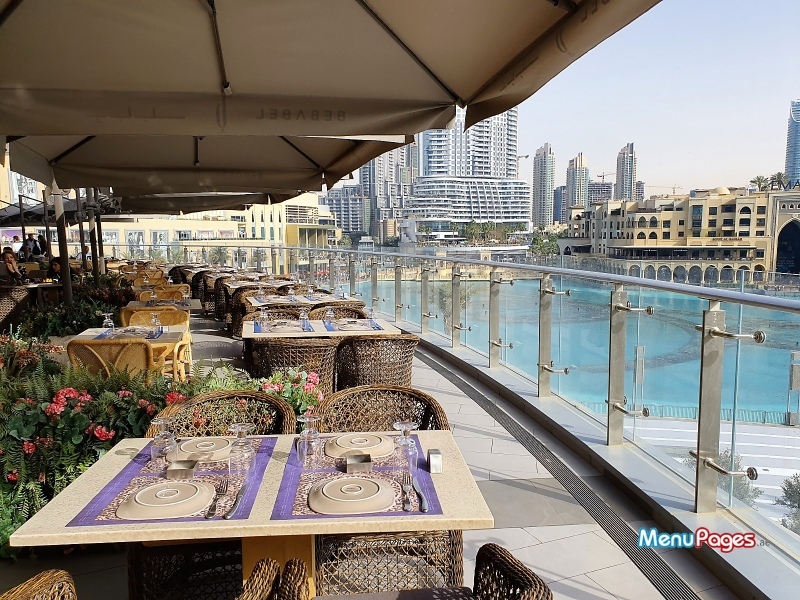 Our host gave us a great introduction to the venue by way of explaining details such the theme of the restaurant, the exceptional views that the restaurant had to offer and the option of being seated at the shisha section of the terrace. We found a handful of favorites from our waiter's laundry list of recommendations. He was energetic and engaging which pumped us up for the impending feast. Lunch was pesto hummus, garlic labneh, mafroukit tajen, cheese rolls, shrimp freekeh, chicken with hosrom, falafel salad, chicken with cheese tarha, mixed grill and knafeh with ice cream. Settling on a single Lebanese appetizer is like asking a parent to choose their favorite child. To make this decision less painful, Bebabel allows guests to customize their appetizers. 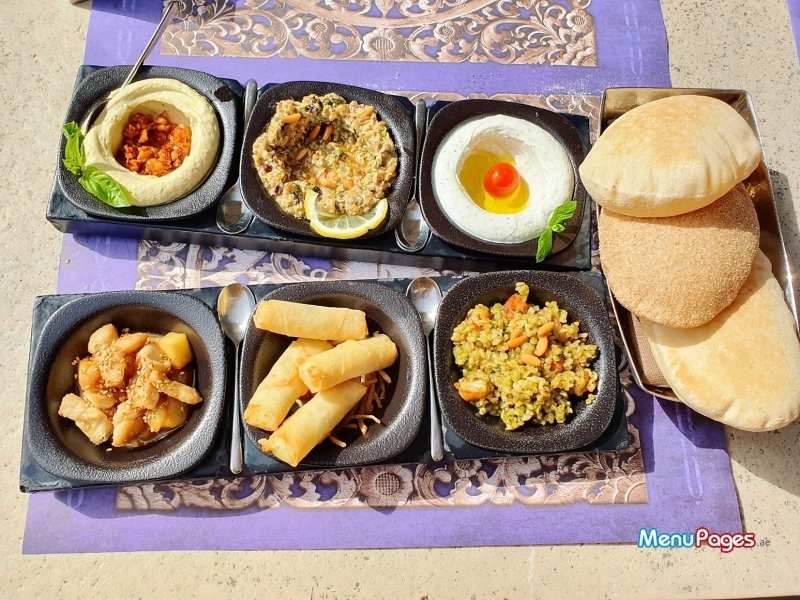 Take your pick and have them served to you in a mezze-style platter. We kicked our meal off with pesto hummus, garlic labneh, mafroukit tajen, cheese rolls, shrimp freekeh and chicken with hosrom. Italy meets Lebanon with the pesto hummus and anyone that's a fan of Mediterranean cuisine will know what an epic fusion that is. The garlic labneh was an oldie but a goldie. The shrimp freekeh was teeming with surprising flavors and we're surprised it's not featured in mezzes more often. Always a creamy and crispy delight, cheese rolls never disappoint. Our waiter recommended the chicken with hosrom, a blend of chicken and potato, which didn't hit the mark for us. This dish gets plus points for being an offbeat menu item, though, for the adventurous foodies reading this. 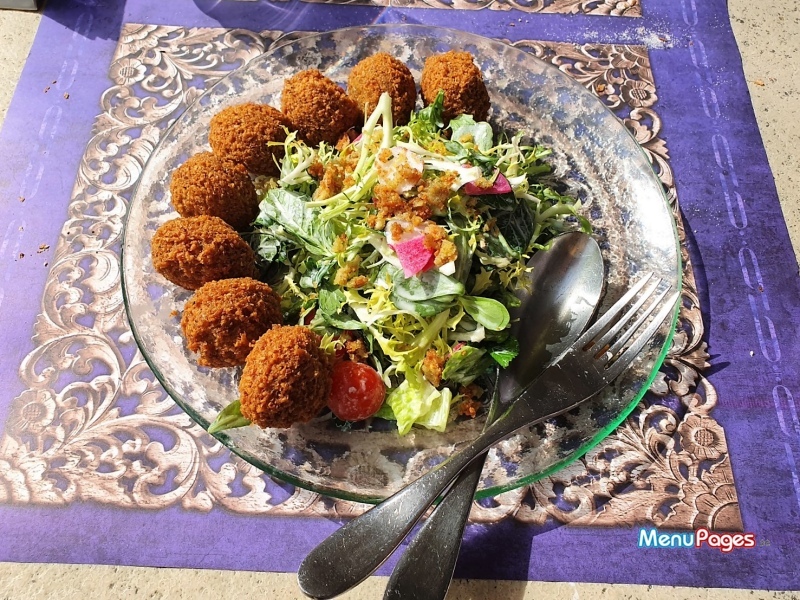 The falafel salad, looking its most delicious in the sunshine, was a vibrant toss of falafel with lettuce, rocket, purslane, mint, parsley and radish in a sublime tarator dressing. One of our favorite dishes at lunch – this has “what to order at a lunch meeting” written all over it. Our next leap into the unknown was with the chicken and cheese tarha (flatbread). A juicy affair of chicken, halloumi, tomato and greens – we're glad to have given it a chance. Just in case it didn't deliver, we ordered a mixed grill which was its usual satisfying self. 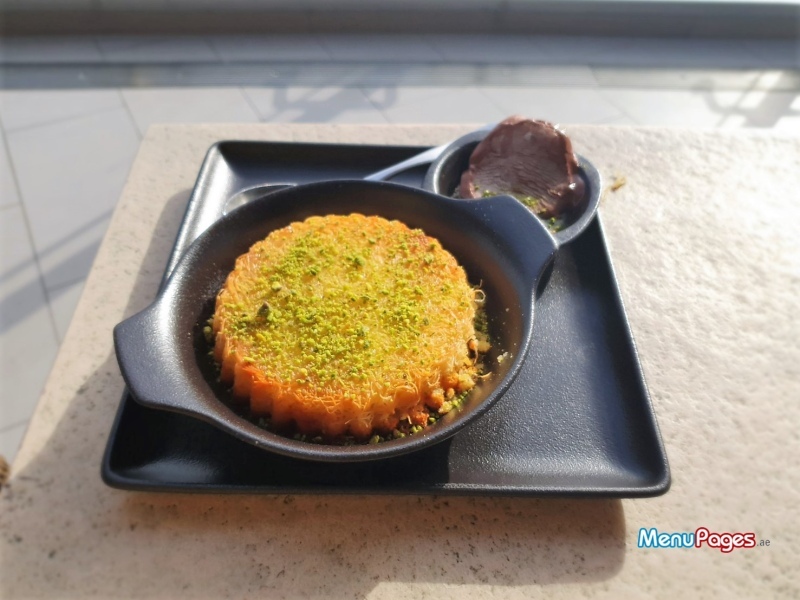 Just before the post-lunch lull kicked in, we ordered some knafeh with chocolate ice cream. This dish needs some work – it was served cold which made it rubbery to the palate and messy to eat. We didn't have to pull up Wikipedia to guide us through this meal. Wading into uncharted waters, we decided to go beyond the Lebanese staples of hummus and tabbouleh. We were glad to have our waiter expertly walk us through the ingredients and history of the lesser-known dishes. We sunbathed over lunch on the al fresco terrace. 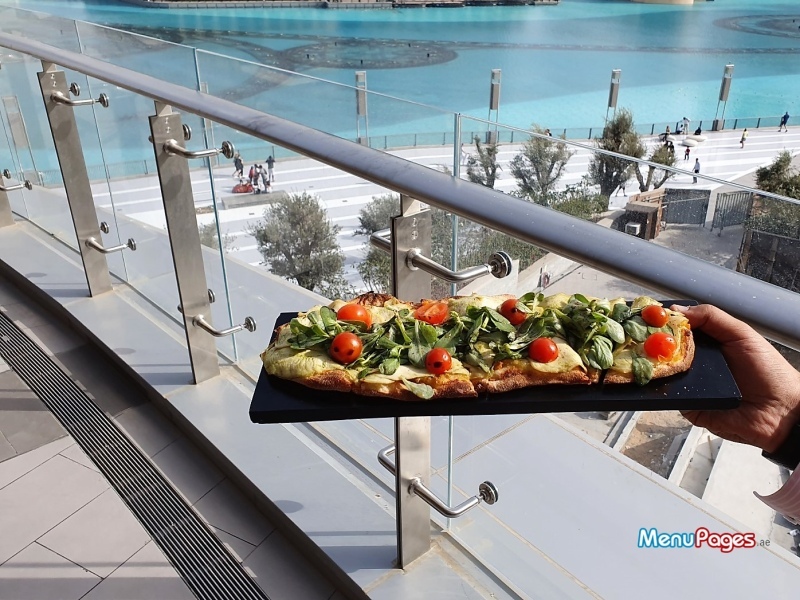 The area outside had insta-worthy views of Burj Khalifa & The Dubai Fountain. 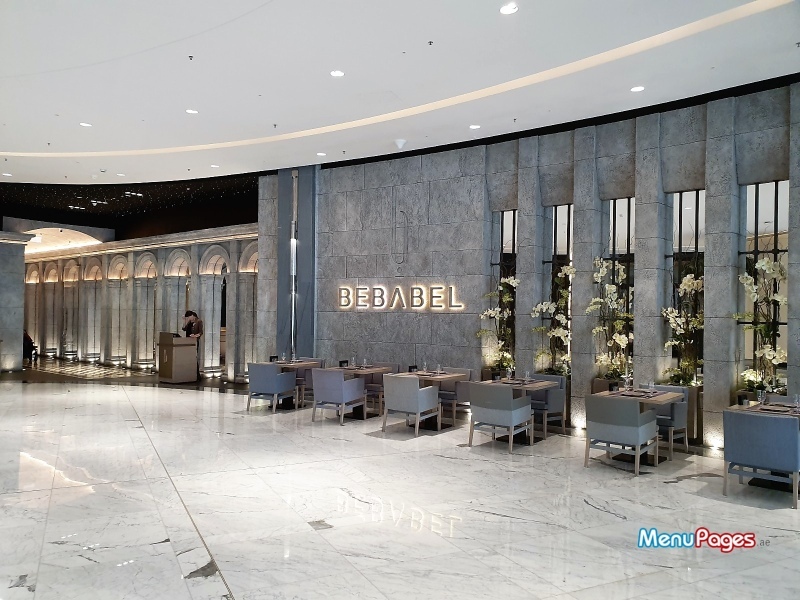 The natural light trickled into the interior space, large enough to accommodate numerous patrons, illuminating Bebabel's stylish little details. Our meal amounted to AED 299. Yes, for a piece of Bebabel's buzzing lunchtime shisha social scene. Bulgur in pomegranate, maroukit tajen, fafafel salad, chili potatoes, shrimp freekeh, chicken with cheese tarha, kafta tarha, beef shawarma platter and grilled kebbeh platter.